A few years ago, I went and saw the musical, The Civil War, at Ford’s Theatre. It was a very entertaining and moving production. There are several times throughout the show where you hear quotations from historic individuals involved in the Civil War. Quotations from Abraham Lincoln are, appropriately, quite prevalent. Each time we heard the words of Lincoln, the stage would go dark and a light inside the Presidential Box would brighten. The first time I saw this, I got shivers. It was very moving to hear the words of our 16th President echoing forth from the box where he was shot. I expect many others who witnessed the play found this to be quite moving. 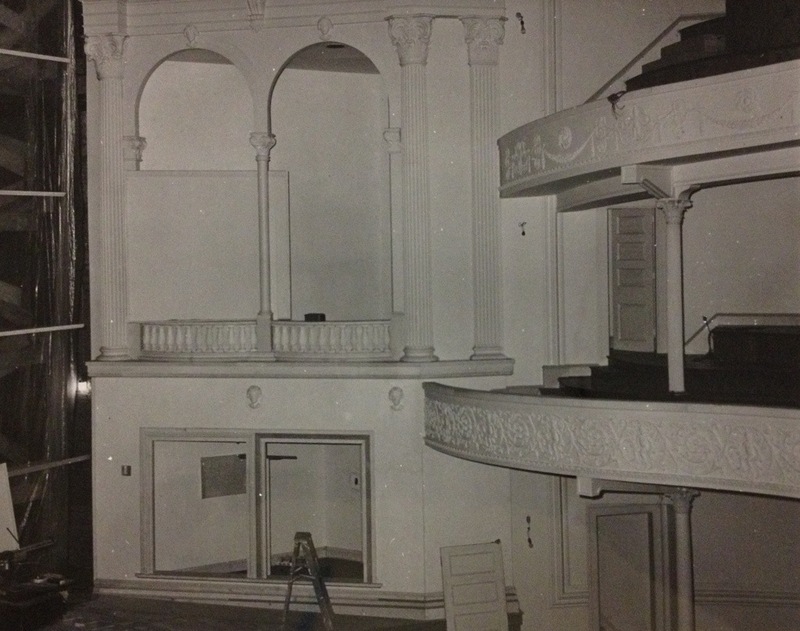 I have always been entranced by Ford’s Theatre, and thoroughly enjoyed seeing these photos of the restoration process. I had only seen about half of them before. The bottom one shows the interior perhaps a week or so after I sneaked in. I took an identical b&w snapshot from that very same angle. The presence of a ladder is the only difference!) How did I manage that? Beats me. I found an open door somewhere! (I still have that picture.) I liked the photo you presented of a worker standing on the stage. Why, that’s just about the spot where Booth must have landed on the stage! I have two hardcover copies of Olzewski’s “The Restoration of Ford’s Theatre. One is signed by the author. The other is signed by most of the performers (and one of the producers) who appeared at the theatre’s opening night festivities. I OWN A VHS COPY, IN COLOR, OF THE ALMOST ONE HOUR TV SHOW THAT COVERED THAT OPENING NIGHT. (I dubbed it to 2 DVD’s for protection!) The quality is magnificent. (Talk about a collectible, huh?!) I told Laurie Verge that if she ever wanted to show it at a banquet or at a conference, I would be happy to bring it with me. It’s terrific, of course! I was so looking forward to watching that live broadcast, on Jan.30th, 1968. That was 3 weeks after I got married and moved to our first apt., in Flushing, NY.However, my car was stolen some time during that day, and I discvd the theft about 2 hours prior to the show. I spent the night with the police, dealing with the matter, and thus missed the show. I finally latched onto an extremely copy of the show and sat down and watched it thirty-eight years later! I knew one person who attended that opening. He was a wealthy Lincoln buff from Oklahoma by the name of Henry “Heine” Bass. (He once had a newsletter.). A fun guy. Thanx for sharing these, Dave. Wow, most interesting! I’m so glad you posted the photos. At Ford’s when we tell visitors about the reconstruction they really can’t believe it. I do wish they still had the old style chairs; that made it more authentic looking. They had replicas of the original chairs when they first opened, I believe. Some of the opening night photos show them. 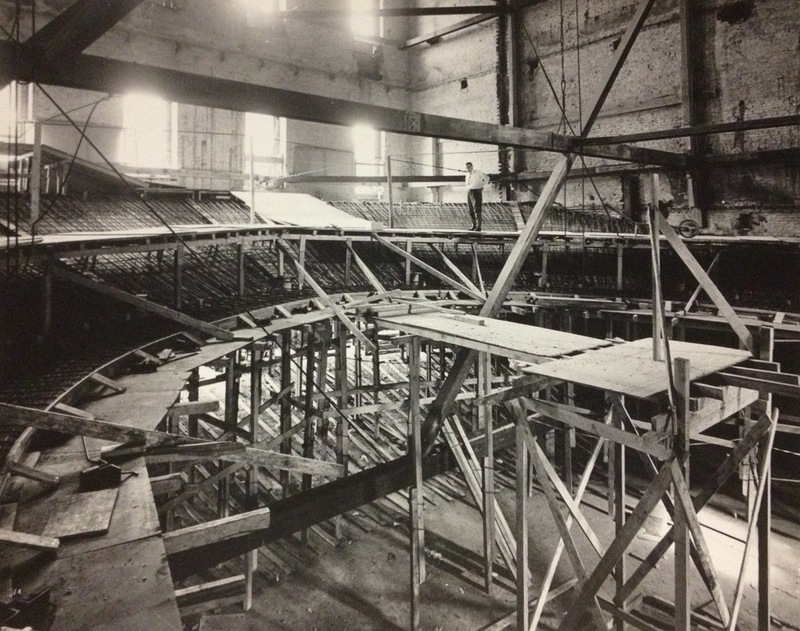 I wonder when they put in the modern seating. There are several original items inside the box; one of the two small wooden chairs is Mrs. Lincoln’s; the loveseat is original and is where Maj. H. Rathbone was sitting. . When the government bought the building in 1865 the Ford’s probably took whatever the needed for their other theaters, therefore all the original public seating chairs have disappeared When the theater reopened 103 years later in 1968 the chairs were much more authentic. 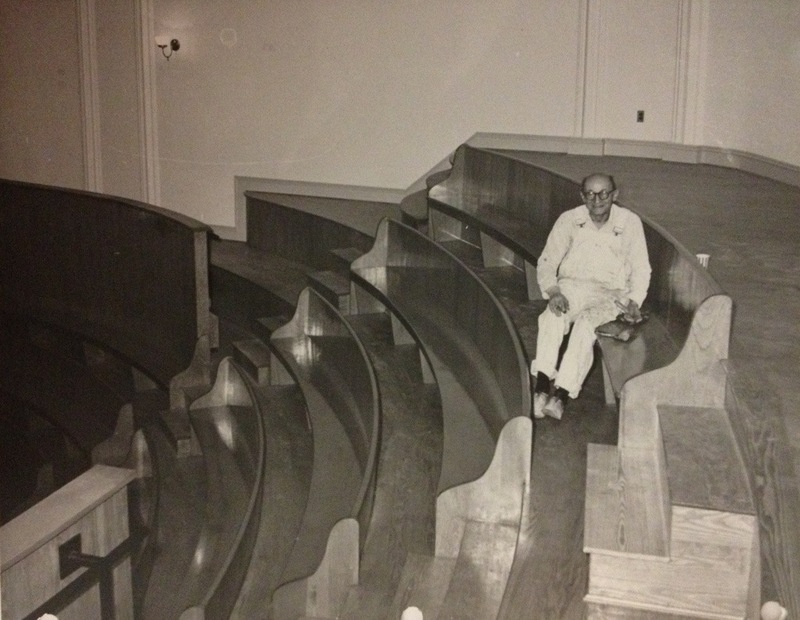 In the late 1970’s or early 80’s those chairs were replaced with larger chairs, but they still looked like the 1860’s style. The “modern” seats are authentic period 1900, taken from an old theater; they’ve been there since the reopening in 2009-10. Modern man likes his comforts. Yes, the portrait of George Washington is original too! My question pertains to the passageway between the theater and the Star Tavern.It is my understanding that Booth was backstage, then went under the stage and down the passageway and through a door to the Tavern. Some historians say that he went all the way down this passageway to the street then came in the front door of the Tavern.If you look at the floor plans it clearly shows a door in this passageway leading right into the Tavern. So I do not know why he would go all the way out when he didn’t need to. Secondly If you can go in and out of that door, what prevented a saloon patron from following the passageway and ending up on the stage during the middle of a play? Your thoughts.. I believe I read that the only original part of the box remaining is door 7, which maybe on display at the theater. Thedre are 3 orig. pieces of Ford’s Thea. still in the theatre. 1).That door you wrote of. (yes, it’s in the basement museum) 2). The engraving of Geo. Washington that decorates the front of the box, and 3). the sofa in the box. 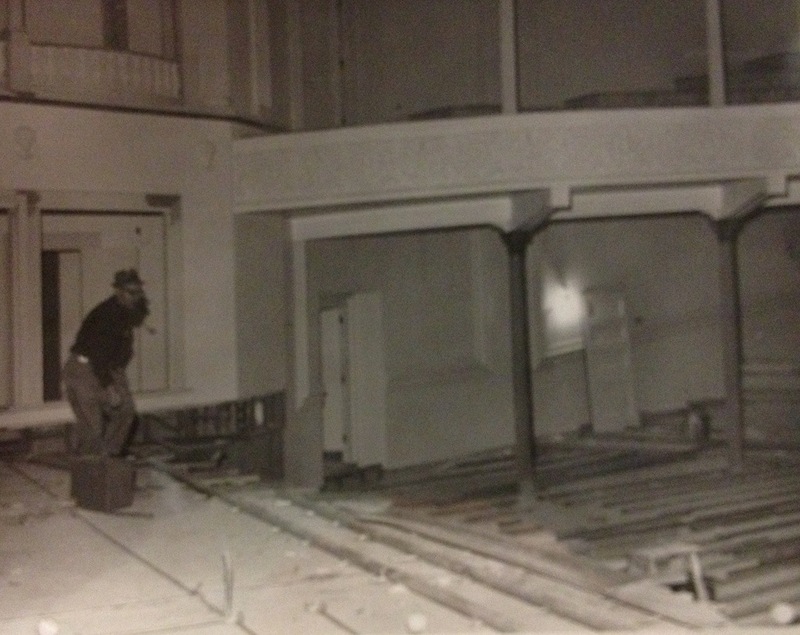 I visited Ford’s Theatre in 1956 and/or 1962 before the restoration. It was open to the public. Booth’s boot prints were painted on the floor showing his path out of the theatre. I wish I had taken pictures. Art — I have a snapshot I took of one of those footprints, burned into the stage. That was such a clever device. The NPS simply made a tracing of Booth’s boot that they had fr. the War Dept. collection and reversed it as they “printed” his footsteps across the stage so that it was left footprint, right footprint, etc;I’d be happy to scan it and send it to Dave if he wants to use it in this forum. But it will take a little while as my scans suddenly won;t become attachments! I’ll call my email server about it in a couple of days. If you manage to scan the image of the footprints, I’d love to see it. 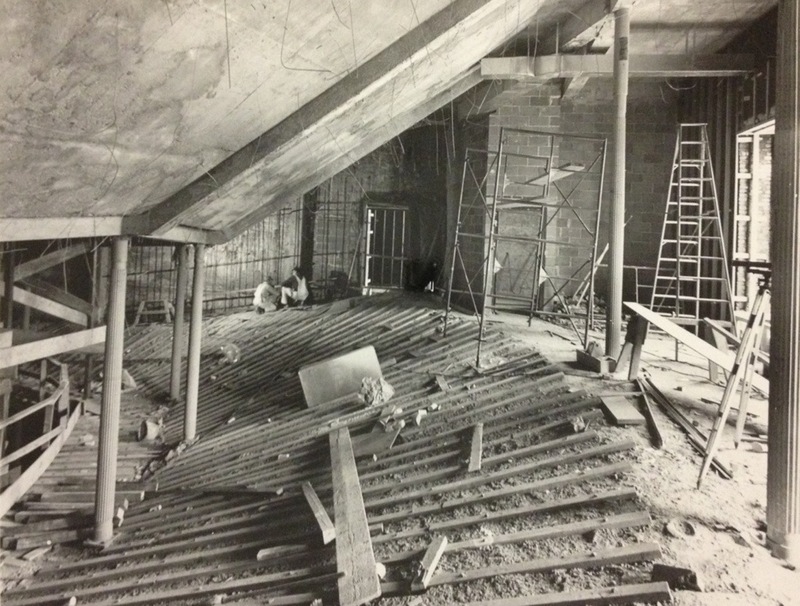 I have not seen very many pictures of Ford’s Theatre’s museum before the restoration. Great post, Dave. It is sad that no authentic flooring or walls of where Lincoln lived (the White House) and was killed (ultimately) remain due to those buildings being totally rebuilt on the inside in the 20th century. I did not realize that the east (alley) wall was not original. 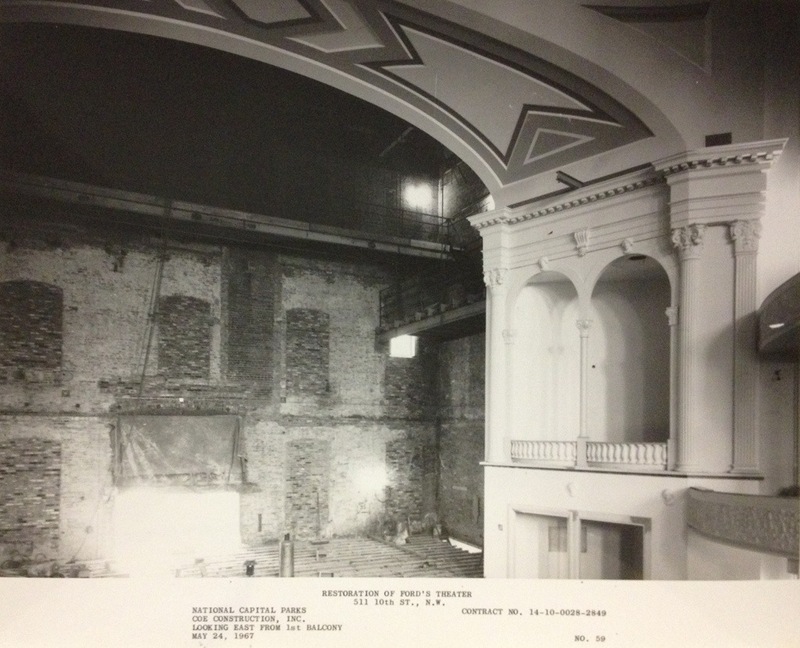 I wonder if any of the relics mentioned in the report that were taken when the government first began to remodel the theater in the 1860’s are known. I’ve never heard of any other than the door, sofa, Washington print, and flag. Hello Heath, There are two small chairs inside the box and one is Mrs. Lincolns. Also, the original Treasury Guard Flag is in the museum. I was under the understanding that there have been many “the” Treasury Guard flags over the years. I believe the one on display is from Oldroyd’s collection but still suspect. Rich Smyth and Jim Garrett would better know the history of the flags. Random question – but the rear doors of the theater. Are those period to the assassination? Not the actual doors themselves but is Booth’s escape door in the same place as they were the night of the assassination or has the facade been redone? I think Ford’s Thea/NPS has an ornate mantle clock from the Ford brothers’ office, and I think the round clock on the lobby wall, on the same wall as the doors to the auditorium, in a gold or gold and brown frame is also original to the theatre. .
From the photos, it looks as though the balustrade in front of the Presidents box is a solid one -piece affair . Is it ? And did the original balustrade consist of individual balusters and a top rail ? Did Booth put his entire weight on the original in his vault over ? This is really cool that you put all of this together. 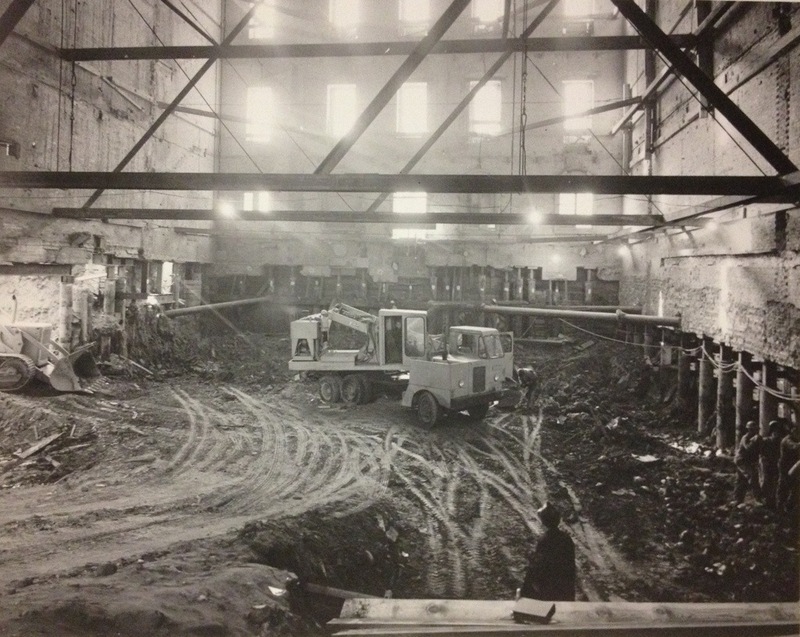 My grandparents Arlene & William owned Coe Construction, the company that preformed the restoration, so Fords theater holds a special place in my heart. It’s really neat to see so many people are interested in something my family played a big part in. 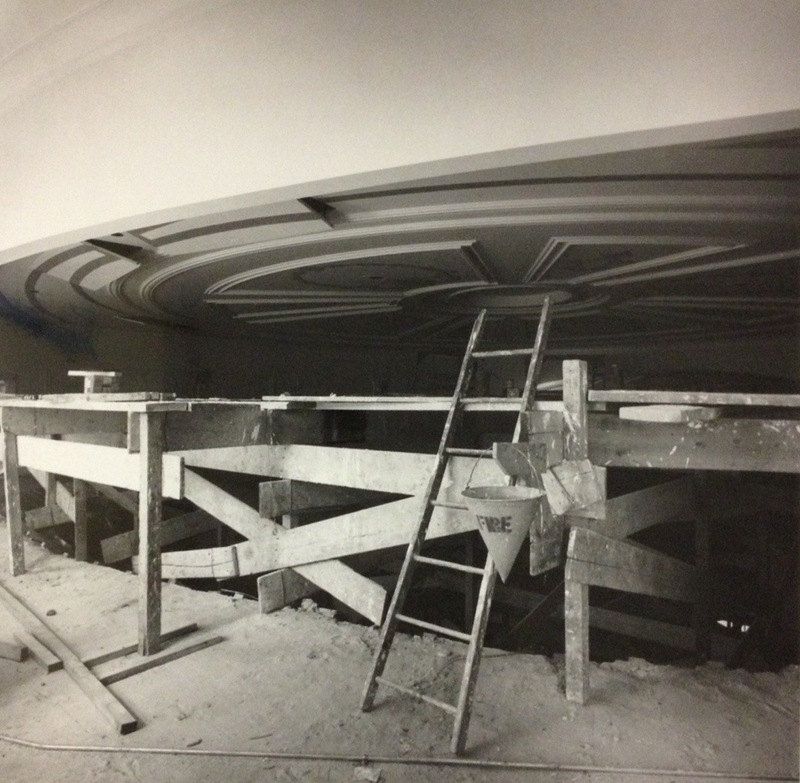 Not many people understand what a massive undertaking it was to get the theater back to it’s original look. My mom still has the gown that she made for the grand opening, it was made from the velvet fabric that covered the seats.